The EF-20A-1 Lightning is a Hand Held, Battery Operated, LED RESCUE Strobe, small enough to be worn on a life vest, or carried in a pocket. 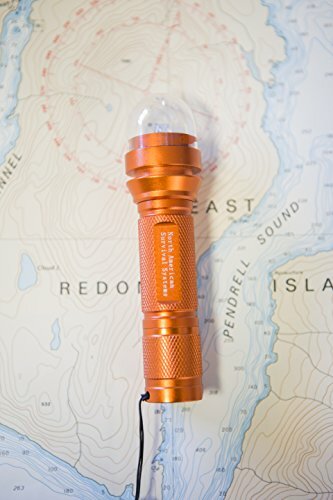 It exceeds USCG SOLAS VISUAL distress light signal Approval Standards for recreational boaters. This brilliant flashing strobe is 5 times brighter than the leading competition and it is omnidirectional so it does not have to be aimed or held in a certain way to be seen. In the air, on land, or at sea, the EF-20A-1 Lightning gives you the best chance of being seen. ANODIZED ALUMINUM CASE, TESTED WATERPROOF TO 50 FEET. If you have any questions about this product by North American Survival Systems EF-20A-1, contact us by completing and submitting the form below. If you are looking for a specif part number, please include it with your message.